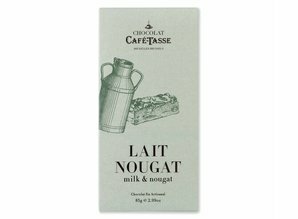 Café-Tasse milk chocolate tablet with real pieces of Belgian natural nougat. 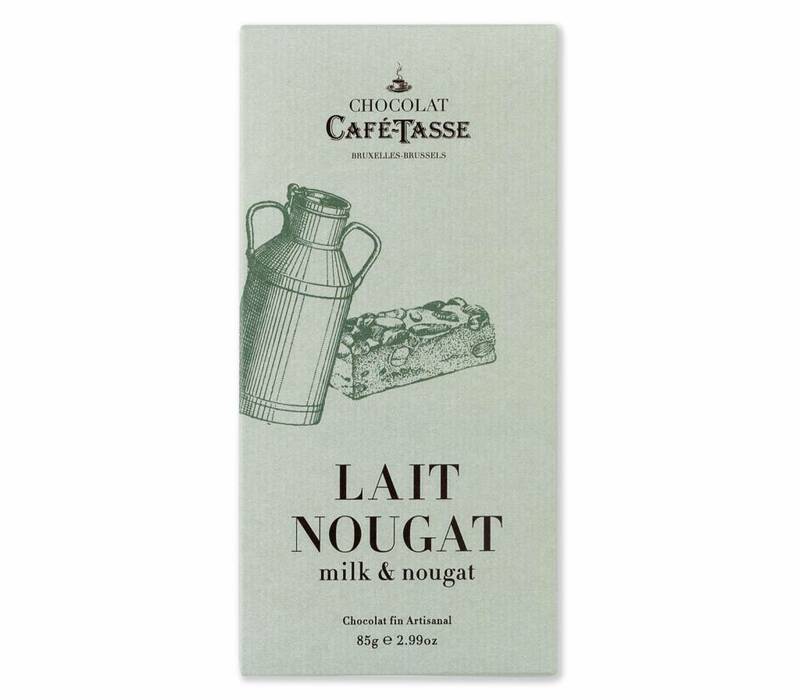 Tastefully wrapped in a classic sleeve. GMO free. May contain traces of nuts and dried fruit.